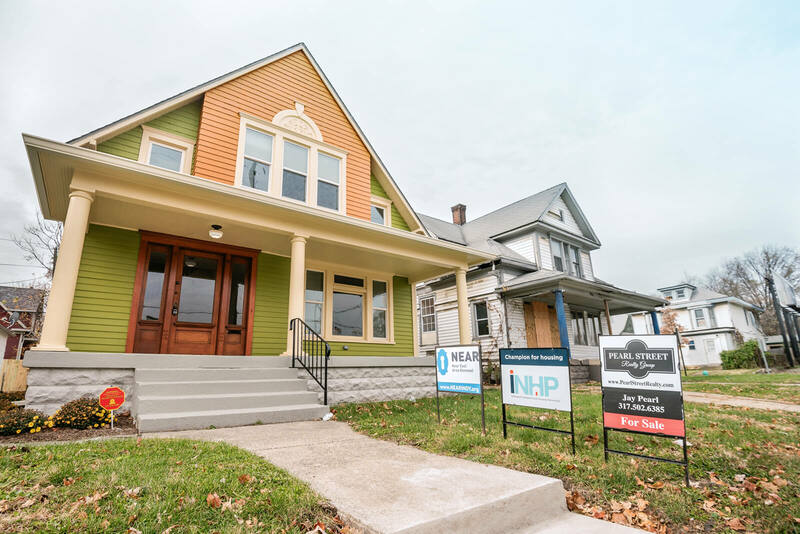 INHP has partnered with local businesses, developers and community groups to create sustainable and affordable housing options – enhancing neighborhoods around Indianapolis and creating unique opportunities for homebuyers. With down payment assistance options and home repair funding, living close to work could save you time and money. A little elbow grease could turn your home repair skills into $15,000 in matching funds for your new home. Buy with confidence. INHP promises your home will appreciate over time — or INHP will adjust your loan amount. Are you looking for capital to build or repair affordable housing? INHP finances projects that revitalize metropolitan Indianapolis neighborhoods and impact the community in positive ways. See how INHP can help you make a lasting investment in the community. INHP has contributed to the development and renovation of more than 400 homes in Fall Creek Place.